Luna has a little red stroller to go to school, the playground, and the shops she visits along the avenue with her mother. When she outgrows it, she passes it on to a neighbor. The red stroller continues to be passed from family to family. This book is a celebration of sharing and community and highlights the diversity of families and neighborhoods. 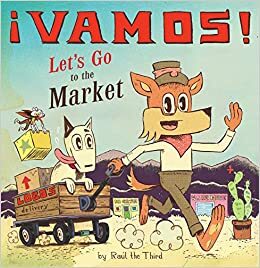 Follow Little Lobo and his dog as they deliver supplies to the market. They make many stops at the busy Mexican market, which is both warm and inviting, where they interact with the various vendors throughout their day. This book offers insight into the Mexican culture and an introduction to the Spanish language. The illustrations are very detailed. This book will be read again and again and readers will notice new details every time. Flubby is a rather unmotivated cat. He doesn't sing, catch, or jump like other pets do. He doesn't even run when it starts to rain. Flubby doesn't seem like a good pet, until the storm makes Kami realize just why they need each other. Told with short sentences and dialogue, this is a book that early readers will find success with and help build their confidence as they build their reading skills. There is an additional book in the series, Flubby Will Not Play With That. Thanks to Penguin Young Readers for providing my book review group, #BookExcursion, with review copies. Siblings, Chess, Emma, and Finn, learn that three children who live states away, but share the same birthdays and first and middle names as them have been kidnapped. The next day their mother mysteriously leaves for a work trip. The situation gets even more mysterious when Chess, Emma, and Finn begin to realize their mother isn't coming back and they discover a tunnel in their house that leads to an alternate world. The story keeps the reader guessing as the mystery of three children and three strangers to whom they may have a connection unfolds. There is suspense and action and an ending that leaves the reader wanting to read the next book. I imagine lots of kids will love the Greytone Secrets, Lisa. I have kids asking for mysteries when they come into the bookstore! I will look for The Little Red Stroller, which sounds delightful. Thanks for sharing all! 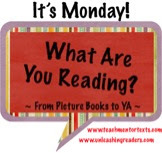 And have a great week reading! 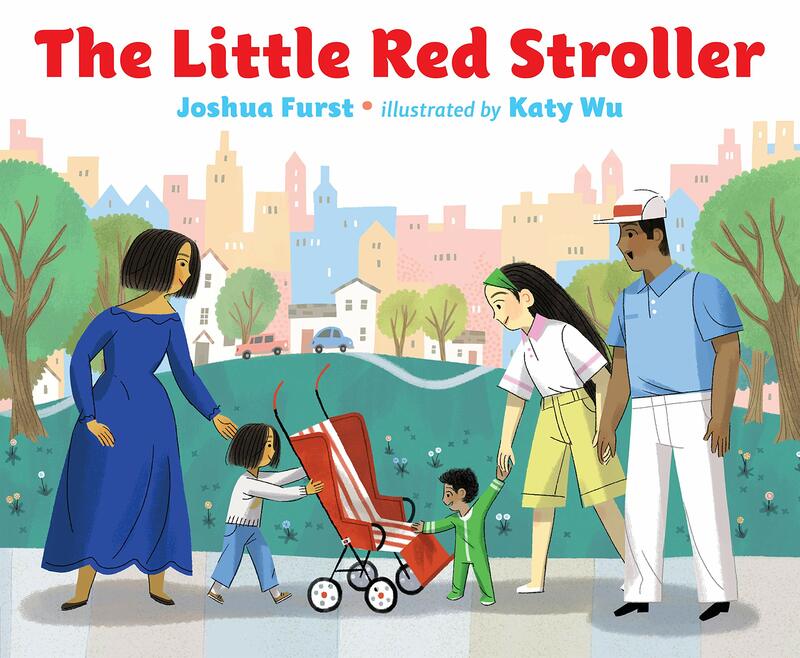 I really like the idea behind The Little Red Stroller. Hope to get to read this one very soon. And I'm adding Greystone Secrets, book #1, to my list. Sounds exciting and suspenseful. Thanks so much, Lisa! Little Red Stroller is new to me. 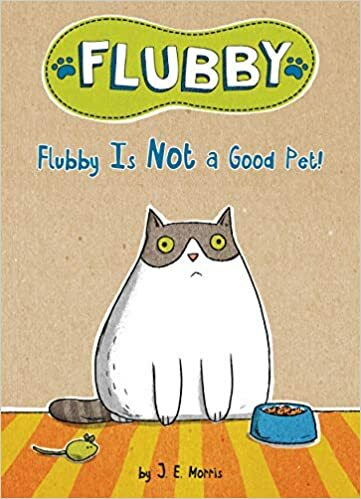 I am always looking for more early chapter books so will have to sign up for a turn to read Flubby. Cats (and dogs) are always kid favorites! 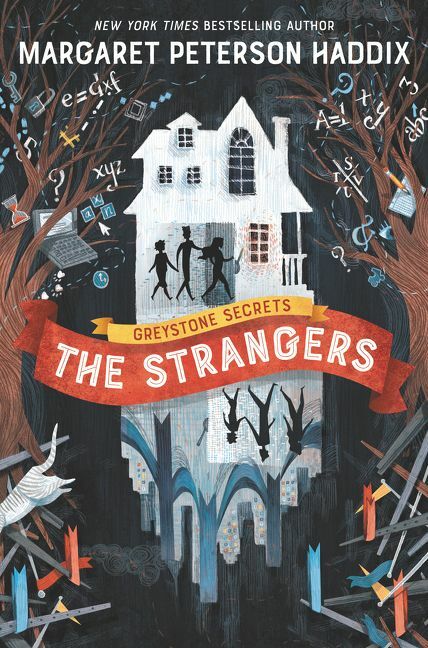 The Strangers was just the type of book I would expect from Margaret Peterson Haddix! I adored Vamos! Still need to write up about that one. The covers look all eye-catching - I did not know about these titles previously, so am glad you shared them! :) Have a great reading week! We can never have enough Haddix since she is a local author! I wish my library had one of these books by J. E. Morris. They do have May I Please Have a Cookie, so I'll have to do with it. Like Shaye, The Little Red Stroller appeals to me. Being part of a large extended family means that lots of things get handed down and on. I just read Vamos! today and really enjoyed it. There is so much to see. I know I will want to read it many times to see everything. Greystone Secrets looks like a great series, and I will also put The Little Red Stroller on my list. Thanks for the post!